1 Name Every Character START a new game and name your character. After you are done go to the "End" and press these buttons: On controller 2, hold A, B, C and press START. On Controller 1 press A, C and START simultaneously. A new character will appear. Name the character and another one will appear, etc. This will go on until you have named every character in the game. 2 Battle Test Hold UP and START on Controller Two, then press RESET. Let go of the buttons as soon as the Sega logo begins to appear, then hold A and C on Controller Two. While holding these buttons, select "Continue" and skip through until the girl's message begins with "Good Luck." Hold A on Controller One. This takes you to a Battle Test screen, where you can fight in any of the game's 30 battles. 3 Message Test In the beginning of the game, hold B when the girl says, "Good Luck." A menu will appear where you can read any of the game's text. What is the PAR code?. and What can I do with it? 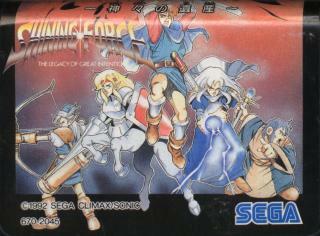 Shining Force was also made into 2 games on the game gear, these games were a lot of fun and were actually released on SegaCD as Shining Force CD. 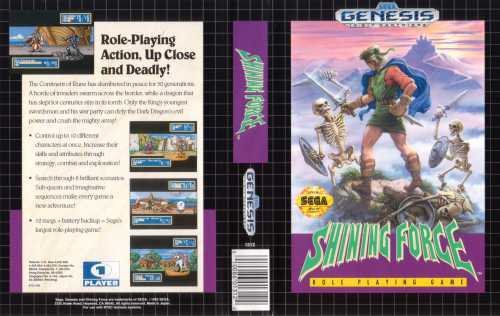 And Shining Force 3 was released on saturn, though us americans never got to see episodes 2 or 3 :( Oh, and Shining in the Darkness did get an official sequel on Saturn called Shining the Holy Ark which a great sequel, although it's a very tough rpg. in the eleven village in the US version of the game i know how to get the mithril and the vigor ball and to enter the secret battle. But in the japanese version of the game the trees are set up different so i cant find the secret battle, the mithril or the vigor ball. if you know how to get these things in the japanese version please tell me. thanks for your time. will have their HP restored!! will receive the Turbo Pepper!! receive the Bread of Life!! Get 65,000 coins for defeating Goblins in battle. Get 65,000 coins for defeating Giant Bats in battle. Get 65,000 coins for defeating Pegasus Knights in battle. Get 65,000 coins for defeating Torch Eyes in battle. and Bolt 4 magic spells!! Freeze 3, and Freeze 4 magic spells!! Heal 3, and Heal 4 magic spells!! the Medical Herb back for $49,150! only applies to the 9 codes below. Well thats all the Shining Force 1 codes! 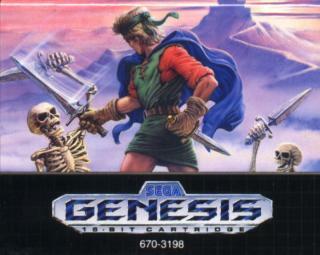 Note: Rememer the Game Genie codes for this game do work (probably not on a real game genie for a real sega genesis they probably only work on a emulator) if your using Gens 2.11 (an emulator) type in the following codes when the sega logo apears or any where else in the game (note at the sega logo pause then in the right hand corner click on file and click on game genie if you type in the codes if the game isn't on the codes WILL BE DELETED AND YOU HAVE TO TYPE THEM IN AT THE SEGA LOGO I DONE IT BEFORE SO MAKE SURE YOU DON'T DO IT)! Thats all the Game Genie codes for Shining Force 2! Note:you can only use codes 2-4 in BATTLE and say if used the Medical Herb it will not restore HP IT WILL ONLY MAKE THE CHARACTER YOU USE IT TO GO UP ONE LEVEL. Note:you can only use codes 2-4 in BATTLE and say if used the Medical Herb it will not restore HP IT WILL ONLY MAKE THE CHARACTER YOU USE IT TO GO UP ONE LEVEL. (PS:the codes do work on the emulator Gens 2.11 because I tried them and they work great) send me a message if you have problems using the codes or if you want to know where to get the them my e-mail address is elag58367@yahoo.com. One of the cheats ahead is wrong: it's the cheat to name all characters. You don't need to complete the game or enable the configuration mode, just name the leader, go to "end", hold Start and press any button. And you don't need either to repeat the process with the other character; just name the him/her and select "end". This is my second fave Genesis RPG series (Phantasy Star being #1). The battles Are hella fun. It's strategy, but not as excessive on the details as most other strategy games. I like the graphic style. Nice and colorful, kinda cartoony but well done. I must have played through Shining Force 1 about ten times. These game not like other kind of similar strategy games, in each turn, the movement of all character would be arranged by their status, so strategy as group may not help so much, so you need to maximize all your character strength, to not let's it to away from battle. also these game not like other kind of similar genesis strategy games, it allow you to travel around the map(when there are no battle), this make you have a feel to playing a game, not story telling(like warsong), you can also find some secret weapon yourself with this feature. 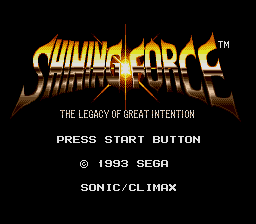 Besides the Langrisser engine, Shining Force has to be my favorite battle system. While all the fights have fixed enemies, they're challenging at times. The story line was good, the graphics were good for its day, and the music was pretty damn good also. 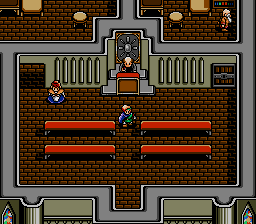 Shining Force 2 was even better, a bit easier than the original I thought. These games demonstrate that often, simple mechanics yeild the best results. The graphics are simplistic, but charming. Battle sequences excel through great character design for both the heroes and enemies. The soundtrack alternates between stirring battle anthems and haunting melodies, although sound effects are a little thin on the ground. The sequel adds a greater emphasis on exploration which only adds to the satisfaction of the game. And is Odd-Eye not one of the coolest character's on the Genesis! Snap 'em up as soon as you can.. also watch out for SF CD, which is brill! If this is still such a popular game (and other sega games as well) to play on our home computers, you would think someone or a company would actually produce these games on CD-ROM. I would definitely buy it, if it went on shelf. I have Sonic on CD, why not the Shining Force series!!! unlike some RPG's this one is great. The tactics spells and manuevers are great when you put them together. A fairly decent RPG.. i like phanasty star a lot better.. but thats just me! I just got this for 30 bucks at Funcoland. Sounds good. I should have a great time with it. this is the first RPG i've played with the battlegrid. I guess it'll take getting use to. ABSOLULTY BRILLIANT GAME...I PICKED THIS UP FOR A MERE �5!!! THE GUY DID'NT KNOW HOW VALUABLE IT WAS. THE GAME CONSISTS OF LOVELY SET PIECES, CHARACTERS AND CHALLENGES. THE STORY IS AS ENGAGING AS THE COMBAT AND IS PERFECTLY PLAYABLE NOWADAYS MULTIPLE TIMES AS WELL. FLAWLESS SEGA GOODNESS. Unlock the configuration mode: When the Sega logo appears, quickly press Up, Down, Up, Down, Left, Right, Left, Right, Up, Right, Down, Left, Up, B. Music will confirm correct code entry. Hold Start while choosing to begin a new game or continue and character selection. A configuration menu with turbo speed, auto battle, enemy control, and game completion options will be displayed. Expert mode: Enable the "Configuration mode" code and complete the game. Reset the Genesis and start a new game. Additional difficulty options will be selectable. Name all characters: Enable the "Configuration mode" code and complete the game.Reset the Genesis and start a new game. Name your character, highlight the "Exit" option on the character name screen, and press A + Start. Another character will be displayed and can be named. Repeat this process to name all the characters. Sound test: Enable the "Configuration mode" code and complete the game. Reset the Genesis and start a new game. Highlight a saved game file and quickly hold Start + Up + C.
Final Boss Battle: Complete the game and wait approximately five minutes when the phrase "The End" is displayed. The phrase "and more...?" will appear. Press A, B, or C to enter a final battle with all the Bosses. this game is like so cool!I mean its like kill a monster here and boom you win!